Admittedly, in a wave of new releases you might miss some re-issues of historic treasures. And if you’re into old school Black Metal, Electronic or Goth or are a collector of underground stuff, this is something for you. One of the most underrated pearls from the Swiss underground scene, Sadness, formed in 1989. 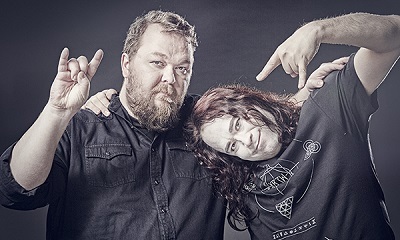 Inspired by the occult Hellhammer and early Celtic Frost and other first waves black metal bands, they released two demos and three full lengths from 1991 to 1998. 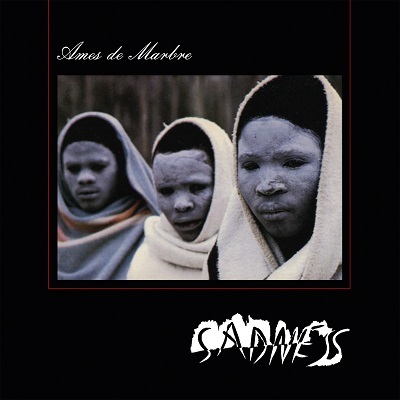 I would describe the sound of their re-issued debut album Ames De Marbre as a mix of Fields of the Nephilim and Laibach with a dose of early Venom: Atmospheric experimental stuff with clean vocals as well as rough riffs and growls. This re-issue has a total new designed booklet and the two demos ‘Y’ (1991) and Oedipus (1992) as bonus.